This low-relief assemblage incorporates found objects and drawings. Multiple iterations of the lion are seen throughout the work, alluding to Leo, the artist's astrological sign. In addition, Saar inserted images of the constellations, mystical imagery, and other symbols that reference the zodiac. The phrase "mystic window" also relates to tarot card readings and spiritual insight. 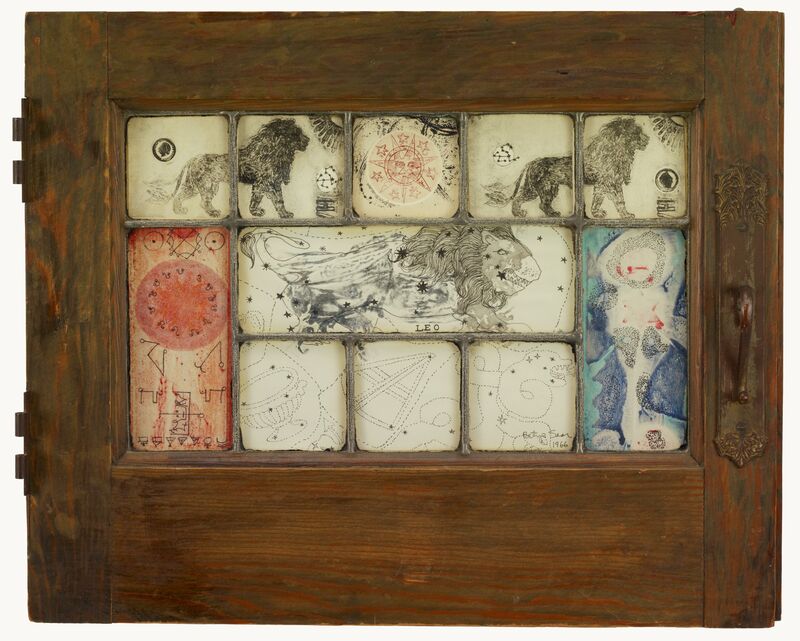 With Mystic Window for Leo, Saar was able to incorporate the multiple meanings of found objects into a work that is meant to be personal and universal. "Mystic Window for Leo." Now Dig This! Art in Black Los Angeles, 1960–1980 Digital Archive. Los Angeles: Hammer Museum, 2016. https://hammer.ucla.edu/now-dig-this/art/mystic-window-for-leo.